We produce a huge variety of seasonal fruit and vegetables on our farm in the beautiful Herefordshire countryside. We are open to visitors daily from May to October with a range of activities for all the family. We sell at Gloucester every Friday May to October plus Stroud and Swindon during the Cherry season. We produce asparagus, strawberries, raspberries, blueberries, tayberries, cherries, gooseberries, plums, black and redcurrants,courgettes, peas, potatoes, broad and runner beans, cauliflower, cabbage, calabresse, sweetcorn, beetroot, carrots, tomatoes, onions, apples and pears! 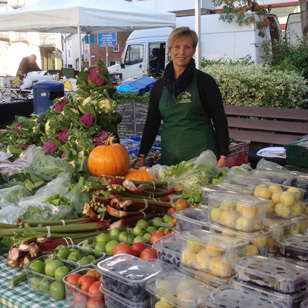 We also sell directly from the farm – pick your own or from the farm shop. Please call for opening times. We have a picnic area, Tea shop, Meet the farm animals a children’s play area, an Amazing Maize Maze from mid July, mountain boarding and carp fishing facilities, and lots of beautiful scenery. Farm Shop and Pick Your Own.